Type 40 Bugattis replaced the early Type 13, 22 and 23 models. As an entry level car, the Type 40 had modest. Simple bodywork and construction methods kept production costs down. As with the early Brecia models it replaced, the Type 40 had road excpetional handling, braking and performance. Supporting the Type 40 was a chassis that was similiar to the Type 38. The engine was that of the Type 37, having an unblown Inline-4 with 5-main bearings and three valves per cylinder. Essentially the engine was halt the Type 35's inline-8. Standard bodywork on the type 40 was a four-seater coupe in a torpedo form. Many cars did receive custom coachwork. 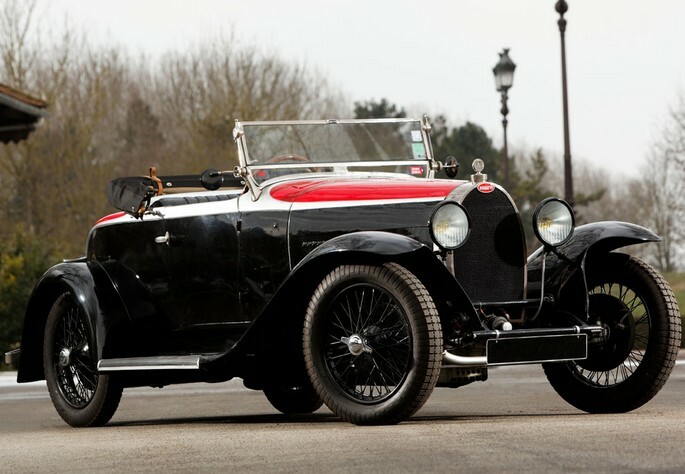 Back in 1929 the Type 40 offered an affordable altenative to the usual expensive Grand Prixcar . However, it is important to note that the same degree of craftsmanship that went into a Grand Prix was held in the Type 40.